Summertime means simple meals. 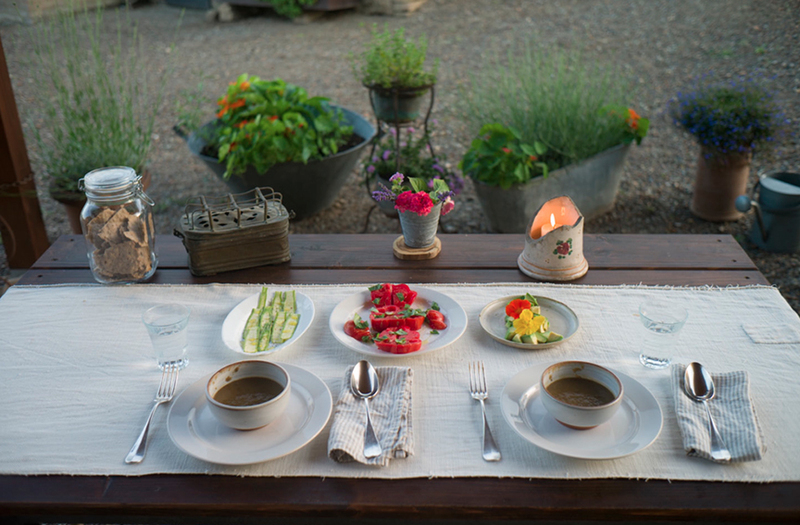 We were lucky that summer to be eating out of the farmer’s garden nearly every day. A broth of vegetables and lentils, some steamed zucchini, fresh tomatoes, edible flowers to embellish the tops of anything we wished, some locally baked crackers. This kind of eating makes me want to photograph every meal, and sometimes I do. More of a record than art, but simplicity is what it demands. This entry was posted in Italy, Simplicity and tagged evening, Food, Still Life on June 20, 2015 by joelmeyerowitz2014. I hope the life is not too hard ….